St Peter's is the church with the tower at the very centre of Harrogate - overlooking the cenotaph and just across the road from Betty's. On street parking, and the Jubilee Car Park are available nearby. 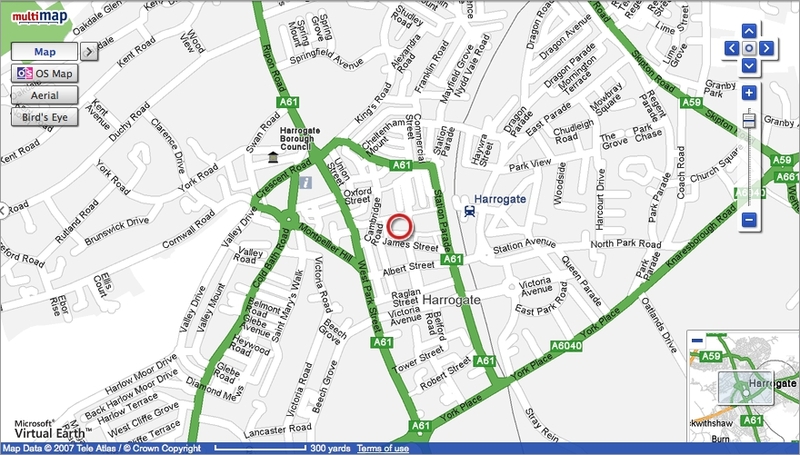 We are also on the 36 bus route (travelling north), and less than five minutes walk from Harrogate bus and train stations.